 Keep bed bugs from infiltrating your bedroom and interrupting your sleep. Bed bugs can create serious problems if they aren’t treated quickly. Bed bugs reach full maturity in 35 days and live on average 7-12 months. Their fast maturity and long life cycle can make these pests hard to remove without professional help. For a successful extermination, you’ll want to follow a few simple steps. All humans and pets should be removed from the home during the extermination and for four hours after service. Fish and reptile tanks must be covered or removed and air filters and filtrations systems for aquatic fish should be turned off during treatment. All furniture should be pulled away from the walls and baseboards at least two feet. Cribs, crib mattresses, and other baby furniture will be inspected and treated as needed. Empty closets of remaining (unlaundered) items and stored items, placing them in plastic bags and moving them to the center of the living room. Don’t move any of your belongings to another home during or before treatment unless you know they are not infested. Remove contents from dressers and nightstands so interiors can be treated. Items should be placed in plastic bags and moved the center of the living room. Open any sleeper sofas, futons or convertible beds for treatment. Please note: all homes or apartment/condo units that are noted to have excess clutter will not be treated. A thorough and successful treatment cannot be achieved while there is excessive clutter and untidiness in the home. Once the clutter is removed, treatment can be rendered. After the extermination by the Hired Killers team, there are a few things you’ll want to do to make sure the treatment is as successful as possible. Wash all linens, bedding materials, clothing, stuff animals, etc., on the highest allowable water temperature and dry on the hottest allowable heat setting. Remove all items from closets, including any items on closet shelves. Follow the procedure above for washing. All items should be washed. Vacuum floors, carpets, and area rugs. Use the crack and crevice attachment around baseboards, bed frames, sofas, and other furniture items. Discard vacuum contents immediately after use. Don’t fear your sleep anymore. Bed Bugs are resourceful pests with a painless bite, which makes detection tricky. If you suspect you may have bed bugs, don’t wait.